We specialize in preventive, orthodontic & family dentistry, provided through a calm setting, compassionate service and the highest level of dental care expertise. 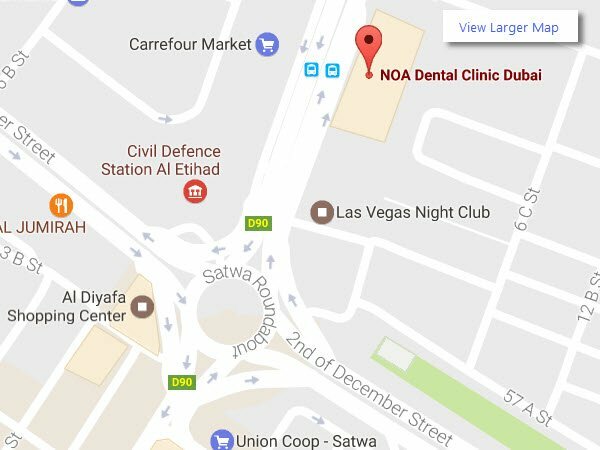 Established since 2005, we are a multi-specialty dental care clinic in Dubai specializing in Preventive, Orthodontic and Family Dentistry. Promoting an atmosphere of trust, our aim and philosophy is to provide highly personalized care in a relaxed and friendly environment. Thanks to our valued patients' reviews and recommendations, we are arguably regarded as one of the best dental clinics in Dubai, offering you and your family painless dental care with a personal touch. Our senior dentist in Dubai, Dr. Zul and his highly motivated team of dentists look forward to welcoming you to our patient family and world class dental care. Porcelain Veneers are thin ceramic laminates designed to cover the front surface of the teeth in the ‘smile zone’ and offer a conservative approach to changing a tooth’s color and shape. Invisible Aligners are a series of custom-made aligners generated by 3D Computer Imaging technology that can straighten your teeth without brackets and wires. If you are self-conscious about your smile or have dental problems due to misalignment of teeth, then receiving orthodontic treatment will greatly improve the way you look and feel. Teeth Whitening in Dubai is the most commonly requested cosmetic dental procedure and has given us the ability to remove years of internal staining and return teeth to their natural colour. We offer both root canal and re-root canal treatment services at our dental clinic in Dubai. A dental implant is a small biocompatible titanium post that serves as a replacement for the root portion of a missing tooth and is considered as an alternative for conventional bridges and dentures. Dr. Zul Paliwalla (King's College London) is our General and Cosmetic dentist at NOA and specializes in smile related concerns. With over 34 years of experience including Harley Street in Central London, Dr. Zul has successfully worked on and improved many internationally recognizable smiles. Dr. Anupama Jaswal is an Invisalign® certified practitioner and our family dentist with over 20 years of extensive clinical experience in Endodontics (root canal treatments) and Cosmetic dentistry (porcelain veneers and crowns). Dr. Naeem Moideen is our Specialist Orthodontist with over 14 years of clinical experience. Dr. Naeem completed his Master’s program with an Award of Excellence in a German curriculum directly affiliated to the Ludwig Maximilian University of Munich, Germany. He is also Invisalign® and Inman aligner certified. His expertise ranges from conventional metal and ceramic braces to the most advanced lingual braces, self ligating Damon system and invisible aligners. Dr. Ahmed Eldesouki is our Specialist Implantologist with over 14 years of clinical experience. Dr. Ahmed completed his post-graduate specialty training in Oral Surgery from the University of Glasgow, UK. He further obtained his Fellowship in Oral Surgery from Royal College of Surgeons of Edinburgh, UK. Dr. Ahmed was awarded MFDS (Membership of Faculty of Dental Surgery) by the Royal College of Physicians and Surgeons of Glasgow. Because of his extensive clinical experience with dental implants, Dr. Ahmed has most recently been appointed as both Examiner and International Dental Adviser for UAE by the Royal College of Surgeons. An Orthodontist Dubai preferred dental clinic.